Interview with Pastor Howard Storm about his transformation from atheism by way of near-death experience. Alex Tsakiris: Yes, but a lot of those two billion [Christians] don’t exactly agree with you. In fact, on Amazon, and on the internet in general, the most vocal critics of your book are Christians who will cite you passage after passage of where your views conflict Christian doctrine. Where does your Christian interpretation of the near-death experience fit in with this broader body of near-death experience literature, and transformative, spiritual experiences in general? One of the people that came on this show was Dr. Eben Alexander. He had a bestselling book… and was a Harvard neurosurgeon… well. he has this near-death experience… he’s emphatic about two things. One that it’s not religious; there’s no religious connection to the transformative spiritual experience. The second thing is that we shouldn’t be looking at near-death experiences as the only way that this God consciousness gets transmitted, that there’s a broader body of transformative spiritual experiences. Howard Storm: I agree with almost everything that you said. It’s not about religion, and absolutely, near-death experiences are only a subcategory of what I would refer to as mystical experiences, or transformative experiences—whatever you want to call it. There’s a whole lot more to transformative in the NDE. Now back to religion for example, the one thing I took exception to, is that all religions are not the same, and not all religions are equally good. There are religions that teach hate and destruction, and there are religions that promote love. And there are tremendous abuses of religions within religions. Christianity which is the majority religion on this planet, with two billion adherents has sociopaths, and narcissists, and every kind of human personality disorder that’s imaginable in it. Some of those people are very vocal, but the teaching of the essential Christianity, and I’m not trying to bring this up, is in my opinion absolutely consistent with the love ethic and cosmology of the near-death experience. Alex Tsakiris: The story of Howard Storm is well known to many who study the near-death experience phenomenon. Pastor Storm was a committed Atheist until a severe illness left him in a hospital bed in Paris, France, on the brink of death. What happened next was a traumatic near-death experience that brought him to the depths of, I guess what most of us would call hell, and finally to a dramatic encounter with a spirit being he understood to be Jesus. All of this is chronicled in his book, My Descent into Death. Howard, welcome to Skeptiko, thanks so much for joining me. Howard Storm: Well thank you Alex for having me on your program. Alex Tsakiris: My pleasure. Your story is amazing, I’ve given folks just a brief thumbnail sketch there, do you want to quickly fill in some the details? As we were chatting just before—you’re 38 years old, you’re a teacher at a university, and an Atheist, and then this thing happens. Alex Tsakiris: And transformative too, I think that’s one of the things that you can look at from the near death experience that is truly difficult for anyone to explain. That’s your life; your life was completely transformed, and has been. Tell us about what you do now and how it changed after this experience. Howard Storm: Well after the experience I knew that I had to remake everything, and that’s a very difficult process because I had spent 38 years developing my life, my persona, my everything. I worked hard, I worked my way through school to undergraduate and graduate school to get a terminal degree in Arts, so I could become an art professor. I had worked my way through academia to being a tenured professor and a department head. To undo all that, and when I say I had to undo all that, I had to undo all the assumptions that underlined all that about what life was about, and what I was doing in this world, and how I was treating myself, other people. And most especially the great, wonderful mystery referred to as the creator, God. The maker, the Supreme Being, the other, the Holy, the one. And consequently, I became very involved in the church and felt that I was called in the ministry of the church. So after my experience I went back to the university and after a few years I left the university and went to seminary so I could be trained and qualified for the ministry. I went to Methodist seminary for three and a half years and graduated. I was ordained in certain churches as a full-time pastor for 22 years. Alex Tsakiris: So let me take a different angle on this Howard, the near-death experience is something we’ve looked a lot on this show. We usually try and stick pretty close to the science of it, because at this point as I’m sure you are aware, there’s a large body of peer-reviewed scientific literature on this. We’ve had a lot of those people on this show, Dr. Jeff Long, somebody I know you’re familiar with; I’m really impressed with his work. Dr. Pim van Lommel is another really impressive guy from the medical community, 20 year cardiologist, and a bunch of other folks, Suzanne Gordon, Jan Holden, the list goes on and on of people who are serious academics who have published scientific literature, peer-reviewed stuff on near-death experience. I’ve never really seen much of your view or your opinion on this body of scientific work dealing with near-death experience. What do you make of that? Howard Storm: I’m aware of some of it, and I appreciate the fact that people are trying to study this objectively, but there’s a huge limitation because the actual experience can’t be observed by any other person. So the only thing that’s observable, the only thing that’s measurable is the after effects. The interesting thing about the near-death experience that you’ve already mentioned is the near-death experiences are transformative as opposed to drug trips. There’s a bunch of quacks out there, quack scientists who say, ‘We can reproduce near-death experiences with drugs.’ And stuff like that. It’s not true, and one of the meshes of that is there isn’t any real measurable difference in terms of transforming the people. People that I know who have near-death experiences, their lives are radically changed. When I say radical, the Latin root means to go to the very root, the very core of their being is changed. And that is measurable, with not only in what they do with their lives after the experience, but also attitudes. Like for example, measuring anxiety about death. People who have near-death experiences tend to register no fear or anxiety about death whatsoever, as opposed to the general population, where death of course is the number one fear and anxiety about life. So it’s hard stuff to scientifically measure. But there’s this huge body of evidence and what I’m referring to is millions of lives, not hundreds or thousands in the United States alone and all over the world of people whose lives are changed by these experiences. So there has to be something going on, and it’s not reproducible in any way by the scientific community. They can try electric shock and taking people with anesthetics and chemicals to the edge of death and administer hallucinogens and things like that, and none of that produces the same result. Alex Tsakiris: Yeah, but don’t we have to be kind of careful when we start saying that, or when we start saying that we can’t approach it this way or that way? I think there’s some very interesting work that has been done about both understanding both medical conditions, preconditions, that are associated with the reported experience. Let’s break that down, so as you say, we cannot re-experience what you experienced. But of course, science does this all the time. There’s a variety of different ways we can collect and look at those experiences and try and find patterns in them, try and find predictable preconditions that would suggest what those experiences are really about. We can look at them cross-culturally, we can see if the experiences in the United States are any different from the experiences in India or Japan. One of the guests that I had on this show who I thought was really interesting because she took this ethnographic perspective on near-death experiences, was Dr. Suzanne Gordon. This idea of ethnography is well established in the sciences. So I’m not so sure that I would say we can’t penetrate this. I guess where I’m really going with this is that when we start doing that Jeff Long has looked at thousands of these cases. Dr. Jeff Long, with a very rigorous 150 question—at least the last time that I checked—it was a 150-question survey where he asked all these questions about people’s near-death experiences, and compares and contrasts those. How do you think your experience would fit in with the broader body of this? And more importantly, do you care how it fits in or what any of these researchers might have to say about your experience? Howard Storm: Well first of all, since I am a human being and try to have some insight into my nature, I want to be validated just like anybody else. It’s pretty painful when people tell me I’m crazy, or I hallucinated, or I’m fabricating all this, or I’m doing all this for profit, you know? That’s hurtful. The research, some of it is really validating and some of it of course is really demeaning. For example, when I read research where someone says, ‘Near-death experiences are the same things as epileptic fits.’ Because people that have epileptic fits see bright, brilliant, white light so that much be a near-death experience. They don’t know what they’re talking about because the part that is so important about the near-death experience is that everyone I’ve ever met who has had a positive near-death experience, and we do know that there’s a substantial portion of people who have negative ones. The key word is love, and I’ve talked to many of these people and we are all in complete agreement that there is no equivalent to what we experienced in this world. That the sense of love is so overwhelming, so all-encompassing, so completely affirming, that it’s the essence of the life-changing transformative experience in that love. I went to seminary and I studied theology and I don’t have any words to even begin to encapsulate what that really means, its tough stuff. Alex Tsakiris: No, fair enough. And I guess where I’m coming at this from, is that I’m always a little bit leery to be honest with you, of the folks who rely too much on their experience. I mean, this is the same thing Howard, which Atheists will tell you, or people who have different religious stripes, or different spiritual strips. I have a guy who came on the show, and I consider him a friend, a goody guy, Graham Nicholls. He has out of body experiences, which is one part of the near-death experience that you had. You were out of your body; well he practiced this for a long time, and was able to achieve out-of-body experience. 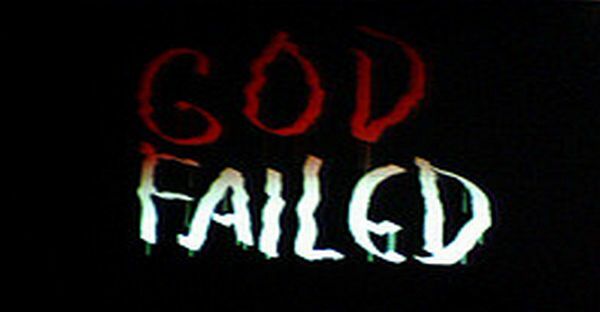 They say there’s a ‘No God’ kind of experience right? So they’re out of their body, they’re open to experiencing any kind of religious things, but they say, ‘Hey, it’s not out there.’ But you have an Atheist who will say—this is again from Suzanne Gordon, who studied these near-death experiences, one of the people she studied in depth with hundreds of hours in interviews, was an Atheist—had a near death experience, came back from the near-death experience and wasn’t completely transformed in terms of a religious experience. He did acknowledge that, ‘Hey, there is something more. I did learn that, bit no, I’m not ready to say I’m down with the whole God and Jesus thing.’ So there’s a variety of different experiences out there. Don’t we have to account for those if we’re going to take a more scientific view of things? Your experience is just so specifically Christian in a way that—I have to tell you, I cannot tell you one near-death experience researcher that I’ve encountered that would be onboard with your interpretation of this experience—in terms of it being singularly a Christian kind of thing. How do you square with that? Howard Storm: I certainly believe that all near-death experiences are idiosyncratic and that people are—I believe that these experiences are gifts. Everybody is given a different gift just as everybody is different in this world; they’re all going to have different experiences. Raymond Moody studied this and he found ten similarities in what he called core experiences, and that was pretty good stuff because people that had more experiences were out there before Raymond Moody wondering if they were crazy. When I read Moody’s stuff and went through the checklist of, ‘Yeah, yeah, yeah, I’ve had these things. I am like other near-death experiences.’ But it doesn’t mean that any of us have similar experiences. My experience—why was it so Christian, I can only speculate. I quit church when I was 14 or 15 years old. I didn’t have any theological background. Things that went on in my near-death experience were not recollections of things that I had learned as a child in Sunday school. I had never read the Bible in my adult life, ever. And I didn’t read and theology. I was given a lot of information that was not implanted in me in my youth. I believe that what I was given was a gift, and I think part of the reason I was given this gift was in order to assert the troops, the validity of the Christian tradition. It’s been an interesting journey because I pursued trying to integrate what I learned in my near-death experience with my own readings. I went to seminary and took surprisingly rigorous academic classes and graduate classes in theology. As a pastor, I had to try and transmit this information over time to people. I have wanted to express myself because I’ve found that its where what I’ve learned and what Christian orthodoxy teaches, where they come together and support one another. After my near-death experience I though, since Christianity is so corrupted by people, and I don’t want to go into a big critique of the church, but we all know the church has some problems, some serious problems. I thought about the idea of starting a new religion, you can call it Howardism or whatever, I’ll start my own church, and I very quickly realized what an absolutely pathetic idea that was. It smacked of narcissism, it smacked of going off on some kind of esoteric place, setting myself up as a guru, and I didn’t to do that. I want to be part of—there’s like two billion Christians in the world—I wanted to be part of that body of knowledge, and it’s an interesting body of knowledge that has been trying to work itself up for 5,000 years. You can’t think of any other examples of a body of knowledge trying to refine itself over 5,000 years of human history. There are some other examples, but this is a really major one. I wanted to express myself, articulate what I understood in that, and the more I understood about Christianity the more I realized it was absolutely consistent with what I had experienced. So what I have done is I have merged myself with this huge, ancient body of knowledge, with two billion other people on this planet. Alex Tsakiris: Yes, but a lot of those two billion people don’t exactly agree with you. In fact, if you on to Amazon and look at your book, the most vocal critics and on the internet in general, the most vocal critics of your book are Christians who will cite you passage after passage of where your views conflict Christian doctrine. And I don’t want to get too far into that because I don’t put a lot of stake in Christian doctrine, but at the same time I guess I’d say, where does your Christian interpretation of the near-death experience fit in with this broader body of near-death experience literature, and really, transformative, spiritual experiences? One of the people that I appreciated that came on this show was Dr. Eben Alexander. He had a bestselling book… and was a Harvard neurosurgeon… well. he has this near-death experience… he’s emphatic about two things. One that it’s not religious; there’s no religious connection to the transformative spiritual experience. This is his interpretation, not mine. All religions are a mere pathway or reflection of this God consciousness that is out there, the light that everyone talks about. That is repeated over and over again by every near-death experience that you’ll hear. It’s not about religion, there’s no right religion, there are just these cultural differences that people interpret. The second thing that he’s emphatic about is we shouldn’t be looking at near-death experiences as the only way that this God consciousness gets transmitted, that there’s a broader body of transformative spiritual experiences. People have Kundalini experiences, people have the spontaneous prayer experiences, or they’re doing the rosary or something like that. So two point then: don’t we have to look at this in terms of a broader transformative spiritual experience? And don’t we have to pull religion out of this? Doesn’t it just really kind of muck it up? As soon as you put it in there like that, then you’re sounding like a lot of other people that are very dogmatic about their perspective, about their connection with the higher source. That it’s a, “my way or the highway” kind of thing. …When we were just chatting about the absurdity of Atheism and how it doesn’t make any sense. It’s jammed down our throat, as if it’s programmed in. And you mentioned being in academia and having everyone who is just kind of in the club and everyone is ‘Oh yeah, that’s the way it is, we’re all meaningless robots. We don’t have any—our love for life, our love for family is just an illusion. Of course I’m a biological robot, aren’t you?’ And everyone nods and goes, ‘Yeah I am too.’ It’s absurd. I have to tell you from my perspective; it’s equally absurd to say that all these people that I see who are spiritually developed and have these wonderful gifts that they bring of love and insights are somehow, in some way lesser because they don’t have a Christian orientation. Or that they don’t believe that it’s necessary. I think that’s a fundamental problem with Christianity that is very hard for people who are not Christian but are still spiritually inclined to get past, is this primacy of Christianity. You’ll talk really nice, but at the end of the day baby, it better come through Jesus or it’s not real. Howard Storm: I got a couple responses. I found the perfect response to all this from Mother Theresa, she was asked by reporters in India what she thought about all the religion in India, and this is a quote from Mother Theresa, ‘I love all religions, but I love my own the best.’ And I have used that many, many, many times. I have also tried to practice it. For example, a couple years ago I was in China with an absolutely lovely clearly spiritually developed woman who said, ‘I’m a Buddhist, I’m not a Christian, I’m not interested in Christianity.’ And I said to her, ‘You’re doing just fine, and I’m not here to change that.’ I have found comfort and guidance and truth, I found everything I’d been looking for in Christianity, and I want to share that with people, I have read Hinduism, Buddhism, and Baha’i faith—I find some good, or a lot of good in many and or all of them. To me, there are two kinds of people in the world, one is people who love religion, and one is people who love God. I love people who love God and I don’t care what religion they belong to, and I don’t really like people who love religion. Howard Storm: Yeah, I’m promoting Christianity, because that’s what I know and that’s works for me. I can’t really go around and promote universal religion because there is no such thing. I believe the essence of seeking God is the universal religion, but it’s kind of big. I’m actually the guy that says love your enemies, that’s the religion I want to promote. Alex Tsakiris: So your work then, from the point of having this transformation and then as you mentioned going through seminary and becoming a pastor has also again made you somewhat of a lightning rod. You say some things that are pretty provocative to a lot of people. You said that God is disappointed in the United States, or disappointed in some aspects of our culture. And these are the kind of things that you understand—they rile people up, they go against what a lot of other spiritual people are saying in terms of how we’re supposed to understand our relationship with God, How do you feel about being this—kind of a lightning rod—in some ways? Howard Storm: I really have no aspired or made any conscious effort to be that. I am really kind of surprised when people take issue with me because anything important that I have to say, I believe is based on my near-death experience. I have said to people when they’ve taken exception with me, ‘If you don’t like it, why don’t you go argue with Jesus because that’s what he told me. I’m just reporting, don’t beat up the messenger.’ And people of course find that very glib and evasive, and it’s not at all. Jesus told me things very clearly and straightforwardly that were very surprising and apparently upset people. One of the things that I get taken to task for is about life on other planets. I talked a lot about life on other planets, so not only did I get everybody showing me about life on other planets, and told me the role of life on other planets and our relationship to life on other planets, et cetera, et cetera. We talked about ends and we had a lot of conversation about it. There’s so many people that, ‘There’s no life on other planets, that’s not in the Bible.’ I countered that as, ‘They didn’t know about that then, they didn’t know about telephones or TV, or automobiles then either, but now we know.’ And of course, science has recently in the last few years beginning to discover that there are Earth-like planets—lots of them actually, millions of them, more than they imagined there were—in the universe. And they’re being proven by science. Of course there’s life on other planets. God is a creative mad scientist, there’s lots of life all over the universe. One of the things that people get upset with me for is I want to affirm people’s love and pursuit of God in whatever culture they’ve grown up in. And Christians say, ‘Well, you shouldn’t do that.’ And I say, ‘Oh, so it’s better to go around and beat up people for their love of God? That’s crazy, Jesus didn’t do that.’ Jesus, when he met people from different cultures, loved them and affirmed them the way they were. For example, a Syrophoenician woman, a Samaritan woman, a Roman centurion—and he suddenly loved and affirmed people in his culture who were condemned to death. For example, the woman caught in adultery, the thief on the cross. Jesus loved and affirmed people where they were at and didn’t say, ‘You have to do this, you have to do that and subscribe to a set of dogmas and I might consider you.’ This judgmental nature of Christians and this need to make people conform to their understanding before they can accept them is contrary to the example of what I see in the gospels. Alex Tsakiris: It’s also interesting what you say about the existence of conscious beings on other planets because I’ve hear that from other near-death experiencers independently saying that they’ve brought that back. So it’s interesting when we can kind of make those connections and say, ‘Wow that matches up with someone else’s.’ Not everything matches up from everyone’s near-death experience or spiritual experience and I guess that’s part of the challenge and the fun of why we’re here trying to figure all this out. Tell me this Pastor Storm, where do you see—I want to say, I guess your ministry or your work with this—where is it taking you now? You’ve been at it for a while, where do you go from here? Howard Storm: Honestly I’m just totally winging it, I don’t know what I’m doing. I’m about to put two books on Amazon as e-books because I’ve been working on these two books for a few years, and I just felt that it would make them the least expensive and most accessible going that route, so hopefully that’s going to happen in a week or two. Alex Tsakiris: Tell us a little bit about what you’re putting out there on Amazon. Howard Storm: One is a novel that I wrote to try to illustrate how people in the struggles and difficulties can find solutions through the help of community and through the help of God. We can overcome every difficulty, and I wrote that as a novel and all the experiences in the book are actually based on factual experiences, mine and other people’s that I’ve known. So it’s really a book of small miracles and big miracles. I’ve tried to make it compelling and realistic as possible. 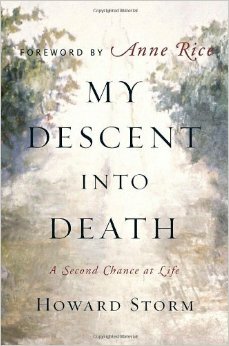 In my book, The Descent into Death, I wrote from—it begins with my near-death experience, and then goes through some of the things that happened afterwards. And I wrote that book to as broad an audience as possible, so it’s not a very Christian book. I decided that I needed to put a book out there that one, gave a lot of personal background, and also developed in my Christian understanding, and furthermore how I tried to successfully and unsuccessfully live that out in my life. There’s a lot about hills and valleys of pastoring churches and family life, and divorce and remarriage and stuff like that to a degree. It’s very personal, and I’ve tried to become really transparent by writing that spiritual journey down. I’m working on a third book, and I want to write a book—I am writing a book—about Jesus, but I don’t know when I’ll ever get that done because every time I read a book at Jesus I get more insights form other people. It does keep growing in my understanding and appreciation on what Jesus is. Alex Tsakiris: One thing you just touched on there is this aspect of the near-death experiencer continuing life after the experience. And I remember interviewing P.M.H. Atwater, who is a near-death experience researcher, whose really looked at that quite extensively, and maybe you want to talk a little bit about that. That just because you’ve had a near-death experience, doesn’t mean all your problems are over. Kist like if you’ve had some kind of religious conversion, it doesn’t mean all your problems are over. In fact, with the near-death experience, it sometimes can be more upsetting because it puts you at odds with a lot of your former friends and family members, but also it puts you at odds with your former life. So what’s that like? Howard Storm: Well I guess—there’s several big disappointments that I had to struggle with—one is that after my near-death experience, I wrongly assumed that I was going to be a saint. That I would not have a temper, anger, or lust, or make mistakes at all. That somehow I had been elevated to this superior person. To my horror, I found out that wasn’t the case at all. Howard Storm: I’m just another human being, no better or worse than anybody else. Alex Tsakiris: Just Howard still? Howard Storm: The other one was, when I came back, because of the physical problems that I was having which were life-threatening and went on for a very long time, and because of losses of friends and family, there was a large part of me that said, ‘This just isn’t worth it, I’d just as soon die and get to heaven and get out of here.’ It was very difficult to overcome the desire to detach myself from the world. For example, one of the solutions that I found, I decided that it would be really good to become a contemplative monk. So I went to a monastery with intention of becoming a monk, and of course they wouldn’t have anything to do with me when they found out I was married and had children. They were like, ‘Go home! Get out here! What are you doing?’ That’s another big disappointment. So trying to—as a result of near-death experience, our sensibilities, our compassion is greatly increased, and when one sees what’s going on in the world, both on the micro level of our personal relationships, and in the macro level of what’s happening the world, it can be quite discouraging. That’s a constant battle, to not let that discouragement overwhelm you and become hopeless I have tried to stay in the world and be an active participant in the world. It’s really discouraging that my brothers and sisters in the Christian faith, some of them want to teat me apart when I thought we were all on the same page, promoting stuff. Apparently, I’m not good enough for them. Alex Tsakiris: Sounds like important work that you’re doing. I appreciate the book, My Descent into Death, and we’re certainly going to look for these couple of new books that you’re going to be putting out on Amazon, we’ll keep an eye out for those. Thanks so much for joining me today, our guest has been Pastor Howard Storm, author of My Descent into Death. Thank you, Howard. Howard Storm: Thank you Alex, it was a pleasure.